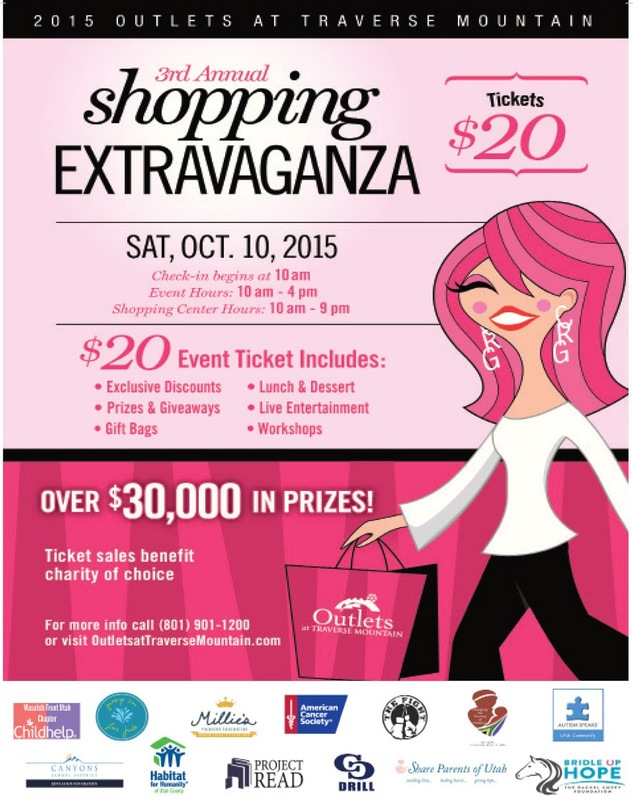 We are proud to team up with the Outlets at Traverse Mountain this year for the Shopping Extravaganza! 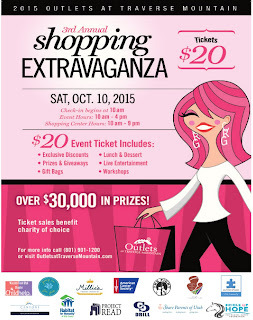 Join us on Saturday, October 10, 2015 from 10 AM - 4 PM. The Outlets love giving back in a BIG WAY to local charities! Share Parents of Utah was carefully chosen to participate in this incredible event, and we would love to have all of our Share families come out and enjoy a fun afternoon with us! Plus entry tickets for $30,000 in gift cards and giveaways! Tickets can be purchased from any Share Parents of Utah board member, by calling our hotline (801)272-5355, at any support group meeting, or at the Car Show on August 28th. You can also purchase tickets online by clicking HERE, or at the Customer Service desk at the Outlet mall. If you purchase online or at the outlet mall, please let them know you are supporting Share Parents of Utah so we get credit for the ticket sales. $15 from every ticket sold is donated back to our organization!